These are some of the purported benefits one experiences on a raw food diet. Who wouldn’t want these benefits? Add to that feeling virtuous for being a raw food vegan (save the planet and the animals! ), and it seems like a win. Or is it? Simply put, a raw food diet means eating only uncooked, unprocessed foods. Staples include raw fruits, vegetables, nuts, seeds, and sprouted grains. Raw foodists believe that enzymes are the life force of a food and are destroyed, along with essential vitamins and minerals, when food is cooked and heated above 116 degrees farenheit. There are a few variations of the raw food diet: raw vegan, raw vegetarian (includes dairy and eggs), and raw meat/organ meats. I’m mostly focusing on the raw vegetarian/vegan diet here. Depending on the exact raw philosophy you choose and results you desire, most raw vegetarian & vegan diets include around 80 percent fruits and vegetables and around 20 percent protein and fats in the form of nuts, seeds, and fats from avocado and coconut. Foods are unprocessed and may also include sprouted nuts, grains, and legumes and fermented foods, including fermented raw dairy if you’re not vegan. Raw foodists avoid foods that have been pasteurized, homogenized, and conventionally raised (non-organic and typically not genetically modified). The philosophy behind the raw food movement is that cooking destroys vital nutrients present in food that rob us of our life force and contribute to oxidative stress and imbalance in the body. Raw foodists purport that cooking animal meat especially releases compounds such as heterocyclic amines that cause cancer in animals; whether such an exposure causes cancer in humans remains unclear. Further, raw foodists believe that cooking destroys the enzymes present in foods needed for maximum digestion and absorption. Although research is limited, studies show that raw food vegetarians and vegans are prone to a number of deficiencies, especially in B vitamins (B6 & B12 most notably) not present in a plant-based diet. A 2005 study showed that raw vegan women had lower bone density and were prone to amenorrhea and low bodyweight. On the other hand, a raw food diet is associated with lower cancer rates and lower LDL cholesterol levels. I don’t recommend raw food diets long term for anyone. Here’s why: most people with whom I’ve worked who’ve embarked on veganism or raw veganism for any length of time have developed a number of endocrine deficiencies and/or digestive imbalance. But why is that if a vegan diet is so healthy? Isn’t it the way we were meant to eat and digest foods? In their raw, natural states, unprocessed and unadulterated? Often I’ll hear that someone gives a raw or raw vegan diet a shot and feels terrible (I’m an example). These are the people who crash on a low protein/high carb diet. But the most common scenario I hear is how a person started his/her raw diet and felt amazing, maybe for months. Then, nagging symptoms begin to surface. Women often develop irregular cycles or stop menstruating altogether. 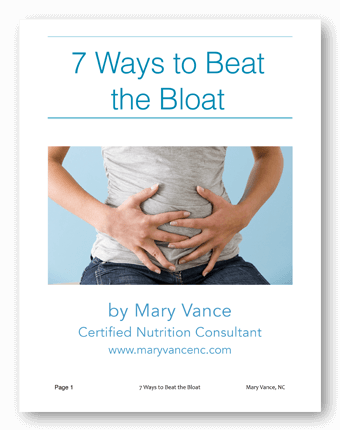 Others may experience bloating, gas, or indigestion. Why is this happening? A raw, vegan diet is basically like a prolonged detox program. You’re ditching common allergenic foods such as dairy products, processed foods, sugar, and many gluten products in most cases. These foods can cause bloating, acne, headache and fatigue, so most people feel awesome after ditching them. (side note: these are the same foods excluded in most detox/cleanse programs). Skin clears up, bloating subsides (in some cases), bowel movements improve from all that fiber, energy increases. Increasing your vegetable and fruit intake while ditching processed foods is a big improvement. For a time, until longer term deficiencies or nagging symptoms develop. Eating raw or raw vegan excludes a number of vital nutrients, and there are some myths surrounding the diet. 1) Cooking foods destroys nutrients. 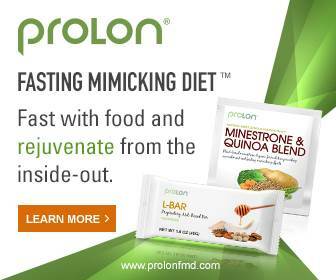 Yes, heating food breaks down fibers and does destroy heat sensitive vitamins C and B vitamins. But this isn’t a bad thing, because cooking breaks down the thick cell walls of many plants, releasing the nutrients not bioavailable when the plant is raw. Tomatoes are a perfect example: their lycopene (a potent antioxidant) levels increase when cooked. Cooking carrots significantly increases carotenoid levels compared with raw carrots. And some foods, such as the cruciferous family, contain high levels of goitrogenic compounds or other gut-irritating anti-nutrients that block absorption of other nutrients, and cooking makes those foods easier to digest while deactivating the goitrogenic compounds that can suppress thyroid function in susceptible individuals. 2) Cooking food destroys enzymes. This is true. But it doesn’t matter, because we produce our own digestive enzymes to break down food. Digestion basically begins as soon as you smell delicious food and your mouth starts to water. When you take a bit of something, carbohydrate digestion begins in the mouth with the secretion of amylase to help break down starches. 3) Raw veganism is healthier than other diets. It’s true that allergy-type symptoms such as headache, bloating, and acne disappear on a raw diet because it excludes the allergenic foods to which many people react. And excluding processed and refined foods is always a positive. But deficiencies occur over time, most commonly vitamins B12 (impossible to obtain via raw food diet) D, selenium, zinc, iron and essential fatty acids. Over 30 percent of women experience poor bone density, amenorrhea, and anemia on a raw food diet, and that can have lasting effects on fertility and thyroid function. Of course, one can take a supplement, but a supplement should be just that: filling in the nutrient gaps and NOT a substitution for entire missing groups of vitamins and antioxidants. Further, nuts and seeds are a raw foodist’s main source of fats and protein, and this is a huge nutritional gap in the necessary amino acids and fatty acids needed to synthesize brain chemicals and hormones. A particular study revealed that 46 percent of raw food dieters (in the study) demonstrated abnormally low HDL cholesterol, a risk factor for heart disease, from limited healthy fats and proteins such as wild salmon. And finally, many people develop digestive issues over time on a raw food diet. 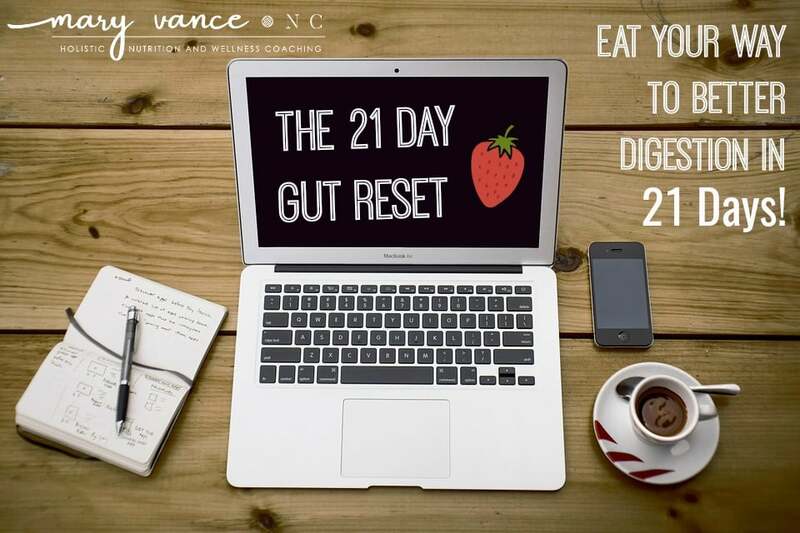 That’s one of the most common issues I help people deal with in “raw food recovery.” They’ll often say food sits in their stomach like a brick or they experience bloating and indigestion. Eating raw can dampen digestive “fire” in many people who may fare better with a good amount of cooked, warming foods, especially if digestion is weak to begin with. Many people have trouble digesting and breaking down raw foods, which are most often cold and can make a person, well, cold, and affect absorption of nutrients, causing imbalance and deficiency. 4) Raw food diets mean we are consuming foods in their natural state. True, but even our ancestors who learned to make fire cooked their food. And the human digestive system has evolved to handle cooked foods. Further, as mentioned above, cooking certain foods increases nutrient availability and makes most difficult-to-digest plants easier to break down and absorb. 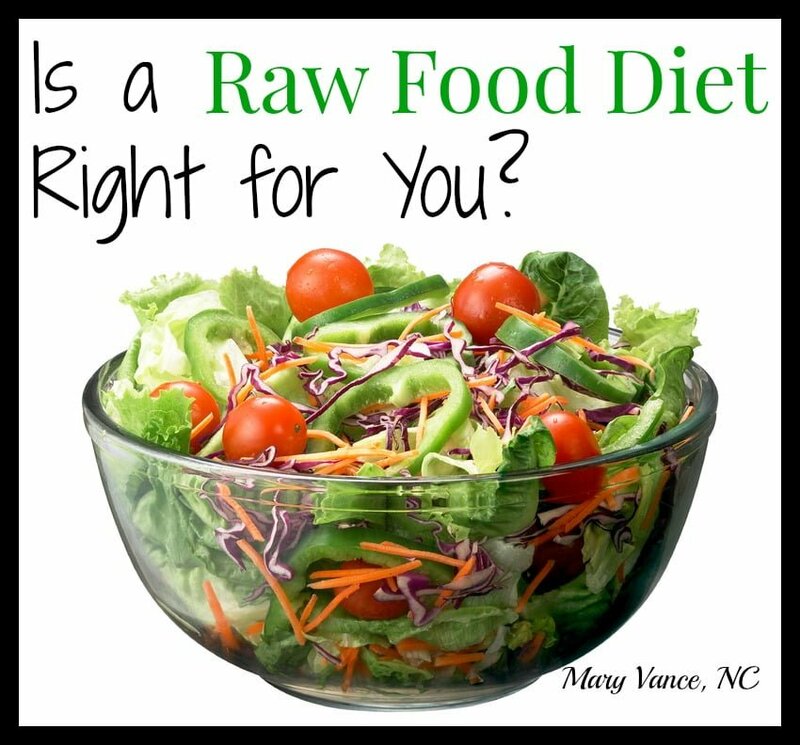 There are many misconceptions about a raw food diet. 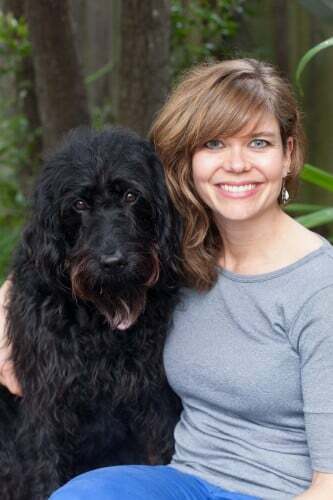 While at first you may feel amazing after the initial detox period removing processed foods and dairy from your diet, because of the large number of excluded nutrients on a raw diet, more longterm effects include deficiencies, gas, bloating, constipation, insomnia, dry skin, decreased vitality, feeling cold, underfunctioning thyroid, anemia, and low libido. There is no one diet that is right for everyone, and certainly no one diet that is right for you throughout the course of your life. Your body’s needs change all the time dependent upon your health status and stress levels. The best solution is to determine any potential food sensitivities and eliminate those foods, and include a good mix of both raw and cooked foods for a full spectrum of nutrients. For example, I enjoy raw salads several times weekly, and I like green and raw fruit smoothies and raw, unpasteurized green juices. Furthermore, you are not what you eat but more accurately, what you digest and absorb. I work with so many people who are overcoming digestive disorders, and they’re often doing green smoothies for breakfast and raw salads for lunch, causing them bloating, gas, and indigestion. These folks do better with more cooked foods that are easier to digest and absorb while they’re restoring digestive function. Some people just don’t have the constitution for a majority raw food diet. The key is determining what works best for you. You may feel great on a raw food diet for a few weeks or more, but it’s not sustainable long term and can even be damaging to your health. Bottom Line: I don’t recommend raw food vegan diets. Ideally aim for a good mix of both raw and cooked foods with appropriate amounts of protein for your gender and activity levels. If you have no major health concerns and want to embark on a brief (2 weeks max) raw food diet for detox, go for it. If you have hypothyroidism, irregular cycles, hypoglycemia, deficiencies, or digestive complaints, steer clear.